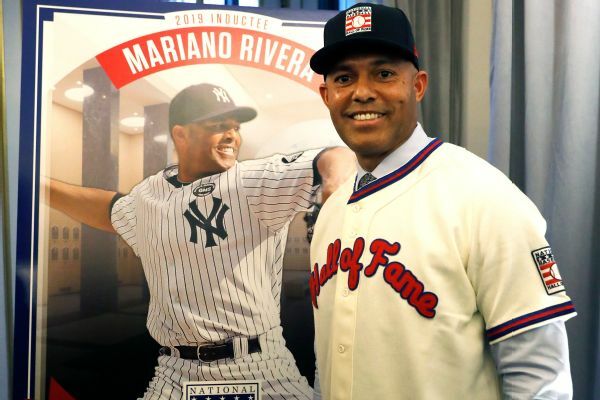 Mariano Rivera's appearance Friday in Cooperstown with wife Clara on a sunny, frigid morning in upstate New York came less than two weeks after he became the first unanimous selection for the Hall of Fame. 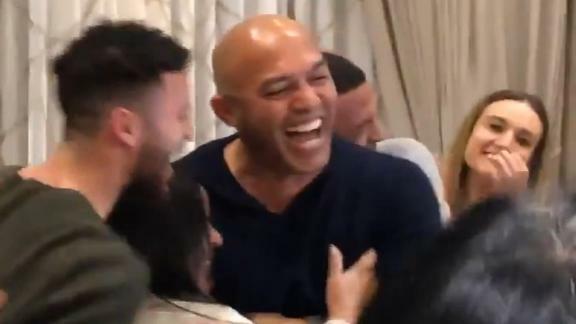 Mariano Rivera and his family celebrate Mo's election to the Baseball Hall of Fame, then go crazy when hearing he is the first unanimous selection. 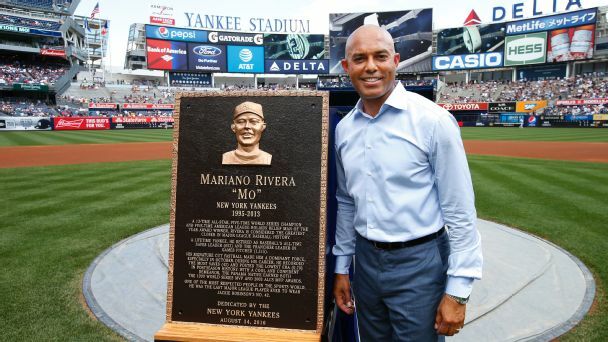 Tim Kurkjian breaks down Mariano Rivera becoming the first player to receive 100 percent of the votes into the Baseball Hall of Fame. 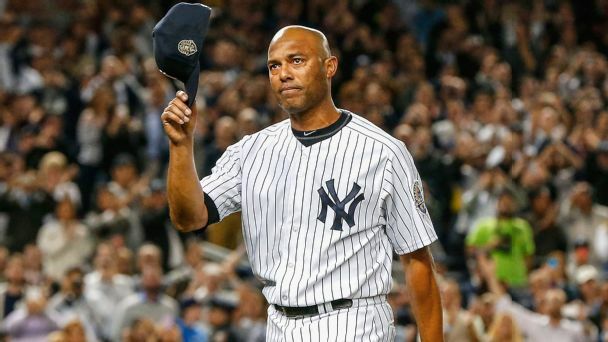 Cooperstown is a better place now that Mariano Rivera got 100 percent of the BBWAA vote. Win or lose, the unanimous new Hall of Famer -- and the greatest postseason performer of all time -- never let you see him sweat. Behind the facade, he was on fire. 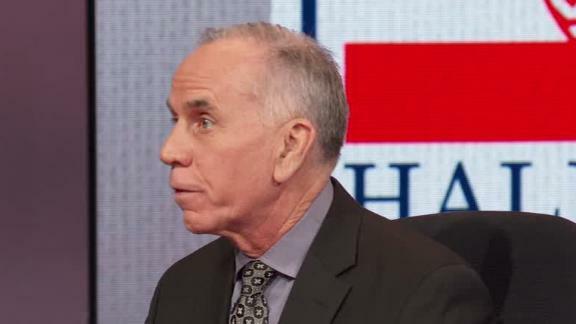 No player has ever been sent to Cooperstown with unanimous support. 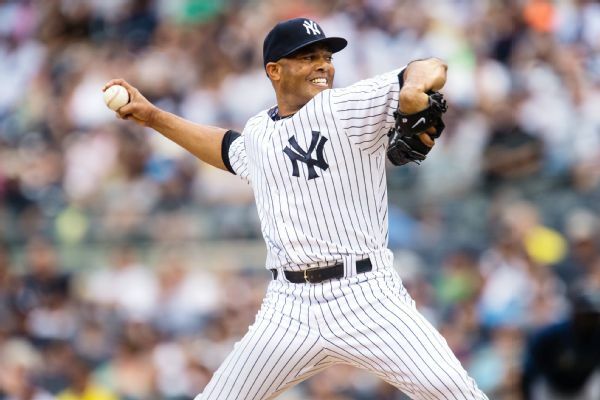 Will the former Yankees closer's case compel voters to make him the first? Career saves leader Mariano Rivera and late pitcher Roy Halladay are among 20 new candidates on the Hall of Fame ballot for the Baseball Writers' Association of America, joined by 15 holdovers headed by Edgar Martinez. 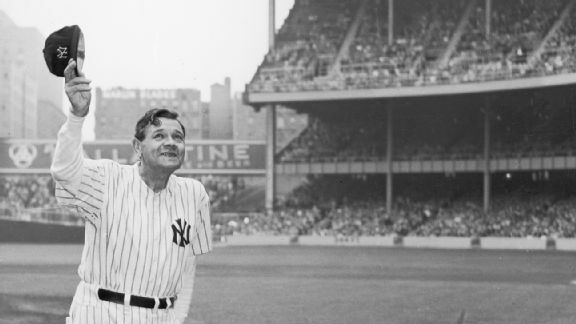 Vote: Who is the greatest Yankee in history after Babe Ruth? Before Jessica Mendoza, Aaron Boone and Buster Olney make their picks, tell us who is the second-best player to wear the pinstripes. The Orioles closer posted a 0.54 ERA by throwing a single devastating pitch -- 92 percent of the time. Sound familiar? Amazingly, Britton stumbled upon the sinker that has made him a star. 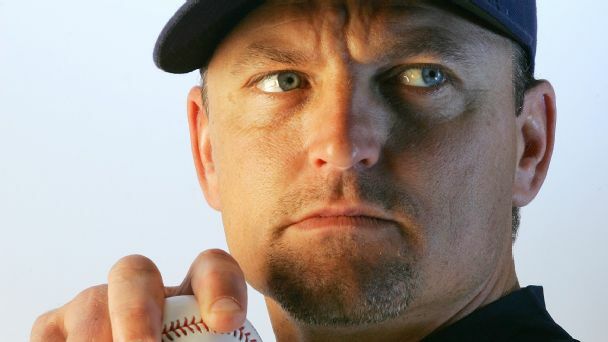 Among Hall of Fame voters, closer Trevor Hoffman's 601 saves might get him in. 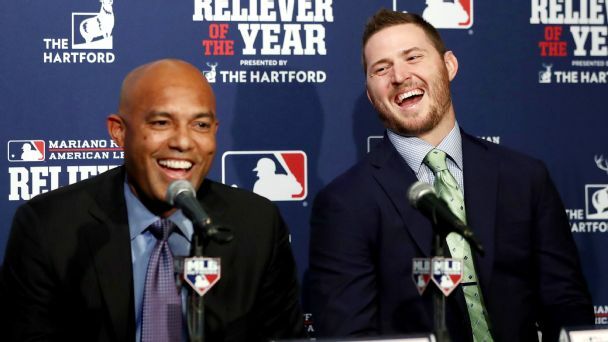 Does he belong in Cooperstown, or is he shy of the standard for relief greatness set by Mariano Rivera?